SKU: FI14M8FLITBLK. 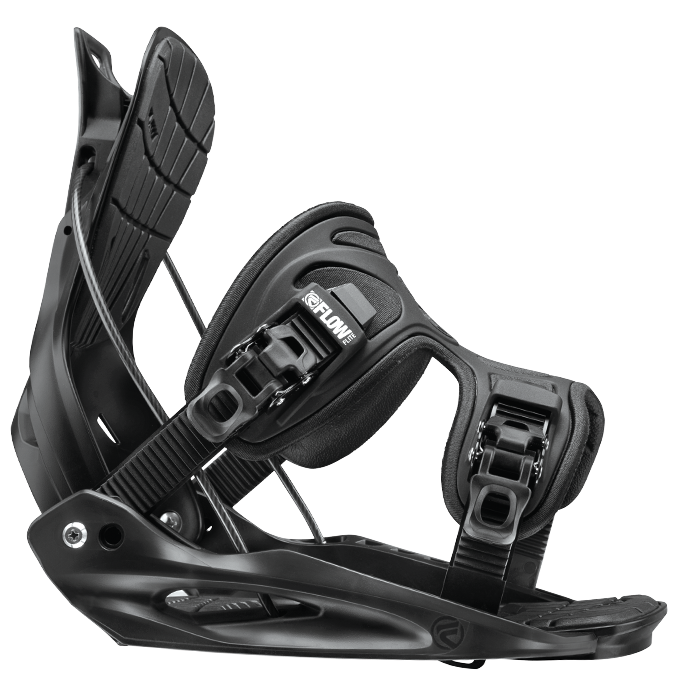 Category: Snowboard bindings. 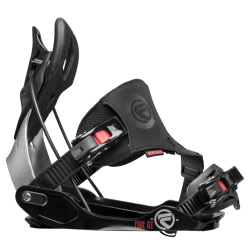 Flow Flite is for The New Kid on the Block who is looking for a memorable experience on the hill. Performance, comfort and convenience are what make this binding so irresistible. 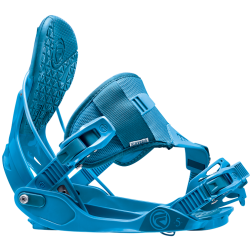 ExoFit strap, EVA Toe and Heel inserts, MINIratchets and a molded plastic rockered base plate and hiback complete this great binding. The fully flat reclining hiback is a pivotal part for the fastest SpeedEntry. The steel cable creates a structural triangular geometry for optimal energy transfer from hiback to baseplate. 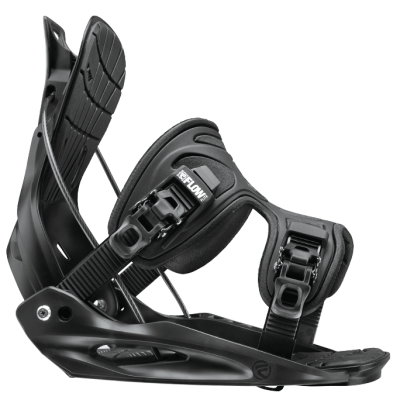 These straps cover a larger area of your mid-foot and connect the ankle and toe zones, for a more convenient, comfortable and more powerful riding experience. Lightweight 1-piece hibacks that fully recline for easy SpeedEntry & Exit and the comfortable EVA-pads take the pressure off your legs. 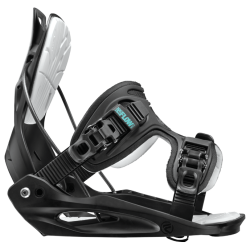 The EXO-FIT PowerStrap features an exoskeleton support-frame that wraps the 3D-shaped EVA and form fits perfectly to your boot, while providing great ankle support and energy transmission. Precisely fit you PowerStrap to your boot and micro-adjust on the fly if needed. Simply pull the lightweight Airframe-lever and lock it down to secure your preferred strap tightness. Adjust your straps on the medial side to fit your boot. Easy, secure and the convenient numbers on the ladder straps help you dial in your setting. All of Flow’s baseplates are uniquely engineered to transmit energy directly to the board without a loss of efficiency or natural board feel. 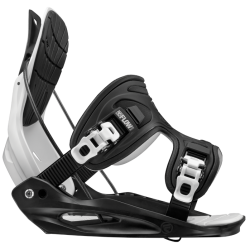 The minimized contact area with the board channels your power where it needs to go, while the rocker corners of the baseplate allow any type of board to maintain optimal flex.